If there is a Coffin shaped skateboard out there, you know Vegan Skate Blog will post it. Considering this gnarly death-mobile is coming from Black Label it is especially awesome. 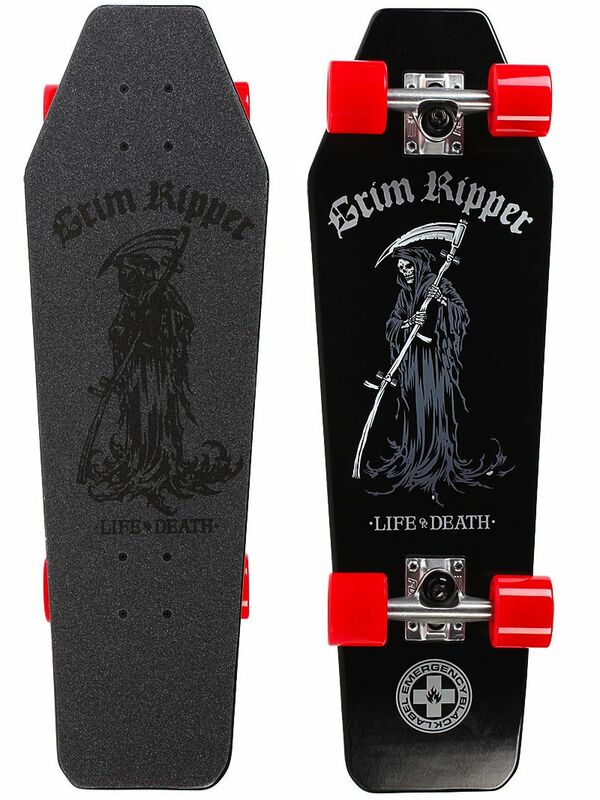 Grim Ripper is mirrored on the grip tape which is rad, and the red Blood Drops’ wheels just add to the evil. 28.5″ Short and 9″ Fat, its a perfect cruiser size for bigger fat footed Ladies and Gents. The 65mm 78a wheels will make for some silent night stalking. Halloween will be here before you know it and this will make a great addition to any Skeletor themed costume or just yet another piece in a morbid skateboard collection. This entry was posted in Skateboards. Bookmark the permalink.